Former world number one Andy Murray has today announced his retirement plans to call time on his 13-year glittering career. The 31-year-old Scotsman who has claimed three Grand Slam titles as well as two olympic gold medals, broke the sad news to tennis fans around the globe by announcing that he plans to play his last tournament at this years Wimbledon Championships in July, although not guaranteeing his participation in the Grand Slam tournament. “Obviously I’ve been struggling for a long time. I’ve been in a lot of pain for about 20 months now. Murray now ranked 230th in the world, endured a six month rest period after Wimbledon in 2017 in an attempt to solve the problem, with his only Grand Slam appearance coming at the US Open last August and with the multiple skipping of tournaments to improve his health, many believed that he wasn’t ever, going to fully recover. He ended his 2018 season after tournaments in Shenzhen and Beijing China back in September to give himself the best chance of getting in the best condition possible to compete in the Australian Open which begins on Monday. With his retirement news spreading rapidly around the world, fans and current players have paid tribute to the former world number one in what he has done for the game. With Murray’s sparking 13-year career on the verge of coming to an end, he has certainly given British tennis fans some memories in the game that they will cherish for years to come. The summer 2012 saw the start of something special for Andy Murray, claiming his first of two gold medals at the Olympic Games held at Wimbledon, London, defeating Swiss great Roger Federer in straight sets. Britain’s long painful wait to see a major champion in tennis came to an end with Murray’s heroics at the US Open in the final major of 2012 where he claimed a dramatic five-set victory over 14 time major champion, Novak Djokovic. The victory that will live long in the memory for British tennis seen the country witness a Wimbledon Champion for the first time in 77 years, Murray claimed the biggest win of his career in the summer of 2013 by once again defeating Novak Djokovic to claim the biggest prize in the sport, a moment that will stay with the Scotsman forever. With his Wimbledon being his maiden individual glory arguably one of Murray’s greatest achievements was guiding Britain to Davis Cup glory, winning 11 out of a possible 12 rubbers across four ties as Britain defeated Belgium to claim the famous team crown. 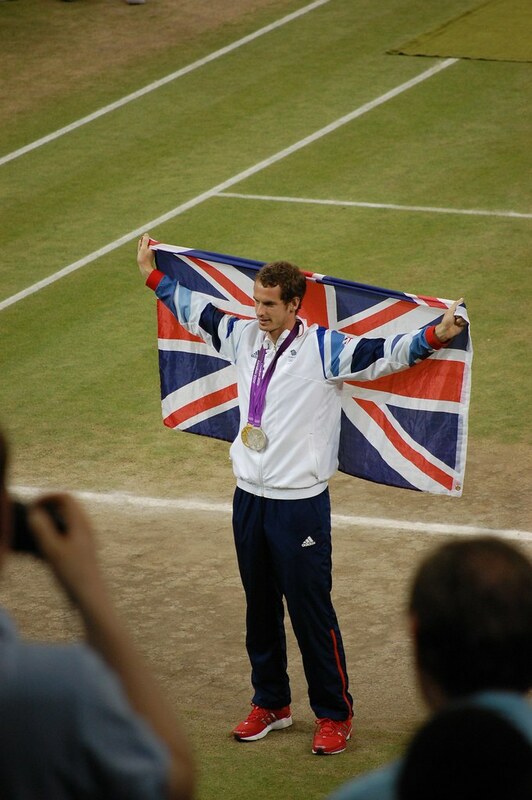 More success was to follow as Murray went on to claim his third grand slam title and second Olympic gold medal respectively in the summer of 2016, beating Canadian Milos Raonic and Argentine Juan Martin Del Porto to claim the Wimbledon crown for a second time at SW19 and another gold for Britain in Rio, becoming first male player to successfully defend the Olympic singles title. Murray ended a sparkling 2016 when he claimed victory at the end of season ATP Tour Finals in London. The achievement was rewarded with the Scotsman reaching a career high world number one ranking status, an incredible achievement amongst a generation of top tennis players. “Whilst people will argue he should have won more, he may not have won anywhere it not for his main rivals. He stepped up to the challenge and just got better and better. Someone with less grit may have resigned themselves to never beating the likes of Federer, Djokovic and Nadal”.